A short description about the company “Kazé United Kingdom” would help many anime and manga fans learn more about this company. 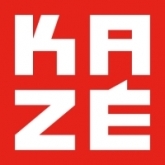 Do you know what “Kazé United Kingdom” is all about? Then feel free to add a description to our database using our entry form. We’re looking forward to your contributions! Bonus, 6 (2015)One Punch Man OVAsMADHOUSE Inc.
TV-Series, 12 (2015)Nisekoi: False Love (Season 2)SHAFT Inc. Bonus, 1 (2014)World Conquest Zvezda Plot OVAA-1 Pictures Inc.
TV-Series, 12 (2014)World Conquest Zvezda PlotA-1 Pictures Inc.
TV-Series, 20 (2014)Nisekoi: False LoveSHAFT Inc.